When I was a child I remember zooming down a very steep hill on a skateboard only to come shooting off at the bottom. I climbed trees up to the highest branches and amazingly, avoided falling. When you think back to your childhood play I bet it also involved taking risks. These risks are now considered so dangerous that they must be avoided. Playgrounds are super safe, in my opinion, too safe, and childcare centers and schools are required to have risk assessments for everything, reducing risks to nearly nothing. I feel wrapping children in cotton wool can limit opportunities for them to experiment and explore, and thus reduce their potential for learning. Why is it so important to allow children to engage in play that involves challenges and taking risks I hear you ask? When we allow children to take risks we are providing them with opportunities that support them to problem solve and to make decisions. The big wide world is full of risks and children need opportunities to develop the skills associated with managing these risks. 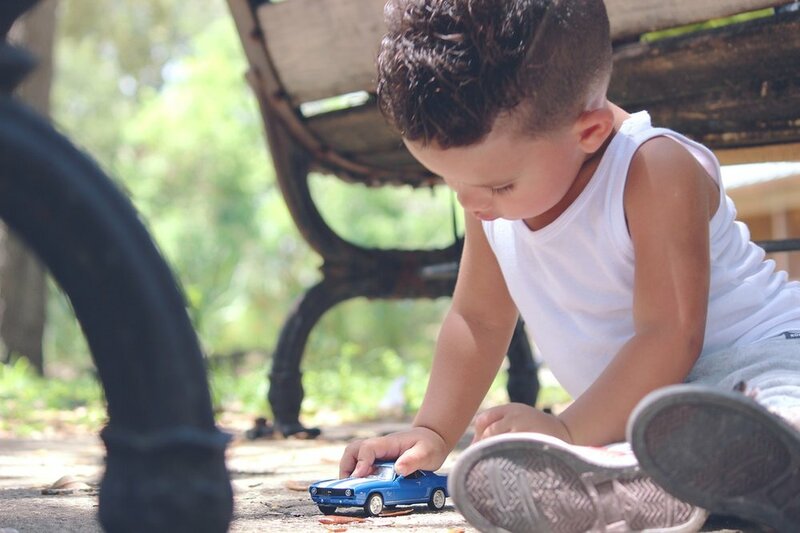 Through risky play children also build resilience, develop problem solving skills and gain an awareness of the capabilities of their own bodies. Some examples of risk taking activities that we can introduce to our children are using real tools to cook or create, letting them climb in trees and jump off equipment, supporting them to cook over an open fire or simply giving them an opportunity to explore local bush land. Let's prepare our children for life, stand back and let them explore! I grew up in England and come rain or shine I spent most of my childhood outdoors. We made dens in the woods and tramped through muddy puddles. We even camped in the garden in winter. I loved being outdoors as a child and as it turns out it is not only good for the soul and mental health it also has an extremely positive effect on child development. So why is it important to allow children time outdoors to explore and to participate in spontaneous play? The chance for children to discover and to develop scientific knowledge and skills-The outdoor environment provides opportunities for children to explore and to learn through observation, questioning, experimentation and reflection. Opportunities for physical development- Whilst outside children run and jump, climb and balance. Children learn about the capabilities of their own bodies and develop balance and coordination. Opportunities for low risk taking- Children may jump from rock to rock across a stream or learn to climb a tree. 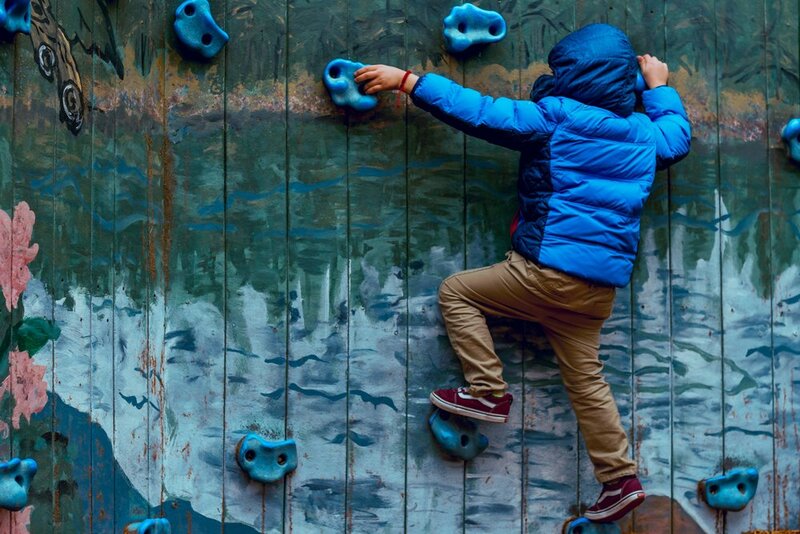 These risk taking activities are important as they develop life skills such as problem solving and the ability to assess risks as well as build resilience. 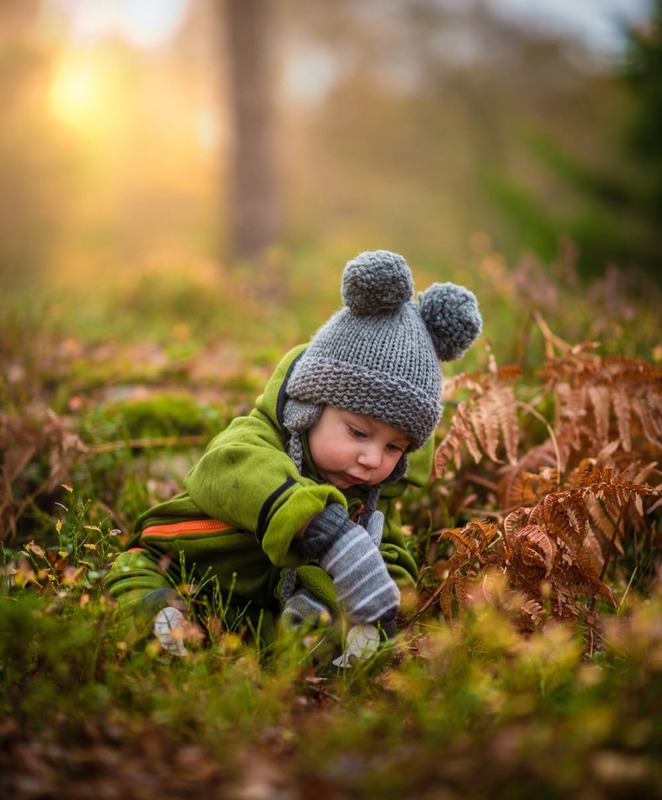 The chance for children to build social skills and develop kindness and empathy- Outdoor play is usually unstructured, children engage in activities such as building dens, playing tag and interacting with bugs and nature. Unstructured play requires children to cooperate, negotiate and to solve conflicts. Being outdoors also allows children to establish positive connections to nature. To learn about plants and animals and about caring for them, thus developing empathy and kindness for the earth's creatures. In addition to the benefits outlined above children need nature play for the healthy development of their senses. It also helps to develop creativity and imagination. Let's all look up a local park and get out there! Mother Nature awaits us! What Do Our Tiny People Need? In a world where everyone spends hours on electronic devices are we drowning in a sea of technology and losing sight of what our children really need? When I was a child I remember hours of fun spent in the garden making mud pies, riding my bike, dressing up and most importantly time with my parents. We went on walks, visited amazing places and sometimes just stayed at home, but we talked and laughed together, shared stories and our lives. As I go about my life today I see children in restaurants on ipads and parents walking with their little ones who are so desperate to point something out. Sadly their Mum or Dad is too busy on their phone to even notice. We are all guilty of these things and I don’t want to pass judgment on someone who needs ten minutes time out, however, we can all be honest with ourselves. Our children need us to be present and we need to be able to look back at the time we spent with our children with no regrets. So what is important to a preschool child? What do they need from us? Children need our guidance, they need us to be role models, sharing our values and showing them how to behave. They need to feel and hear that they are loved in order to feel secure and become confident human beings. They need us to play with them and to teach them new skills, sharing our passions, thoughts and feelings. Talking often: open communication is the key to understanding our children and to them understanding our thoughts and feelings. Instruction: supporting our children to make good choices through discipline and guidance. Modeling: learning new skills through you and setting a positive example. Emotional security: knowing that they are loved. In a nutshell all our children really need and want is for us to be there so put down your phones and pick up that spade because your children won’t be small for long! A friend asked me the other day whether she should buy some books to help her three year old learn his letter sounds. It got me thinking about the importance of teaching this skill at this young age and the method that I would recommend. Children at this age have a natural interest in books and text. It is this that we need to cultivate and not irradiate. In my experience formal teaching too early can stamp out this literary fire and set the child up for a reading struggle rather than success. So do I think formal teaching of this skill is the way forward? To this I have to say no but this does not mean that phonics learning and reading itself should wait until school. So what would I recommend and what have I found works? Sharing and cultivating a love of literature- Expose your child to books often and I mean often. Share books at home, take them to book readings at the local library, get granny to read to them and share her favourite book. Playing games that involve listening for the initial sound in words- Play I spy, I spy something beginning with 'b' can you guess what it is? Have fun with the alphabet- Can we think of an animal beginning with every letter of the alphabet? Play fun sorting games- Lets sort picture cards into different groups depending on the letter that the object starts with. Put all the things that begin with 'b' in this container and everything that begins with 'l' in here. Starting with what they know- Support your child to recognise their name, point it out when you write it, show your child that name sticker on their lunch box, read them their name on their bedroom door. Point out familiar words in the environment, the sign outside the library, the sign outside Coles. You'll be surprised how quickly your child will start to recognise these words out of context, for example on leaflets and vouchers that you may have in your house. Taking the lead from your child-When they are ready they will start to ask how to spell their name or what a certain word says in a book. So to teach or not to teach? Definitely to teach but do it through fun and preserve that magic ! Don't rush it and leave the formal part until they get to school and until they are ready. Through taking it slowly and taking your child's lead you will build the foundations for a happy and healthy relationship with literature.